Renowned for his extravagant creations, the successful designer Verner Panton designed the 1-2-3 coat rack system in 1973, a product that fully meets his own design standards. The oval frame with a curved silhouette offers a feather-light touch to any environment, additionally complemented by the elegant butterfly-shaped stand. 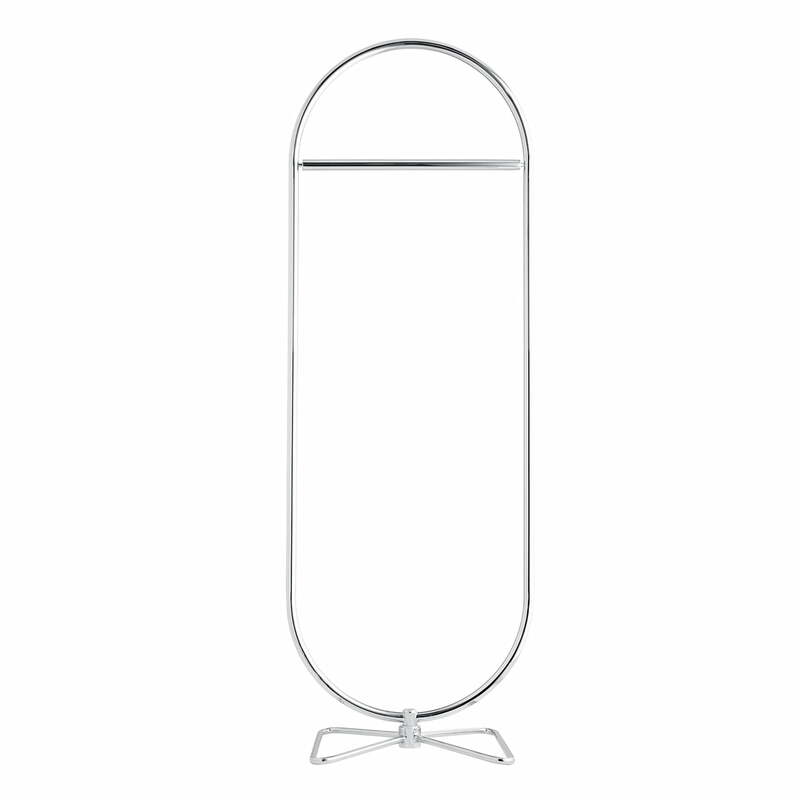 The shiny chrome frame features a horizontal bar on the inside of the oval shape to provide space for coat hangers. The 1-2-3 system by Verpan not only serves as a classic coat rack in the hallway, but it can also be used as a clothes valet in the bedroom. Isolated product image of the Verpan - System 1-2-3 Coat Rack, butterfly. Renowned for his extravagant creations, the successful designer Verner Panton designed the System 1-2-3 Coat Rack in 1973, a product that fully meets the Danish design standards. Isolated product image of the Verpan - System 1-2-3 Coat Rack. 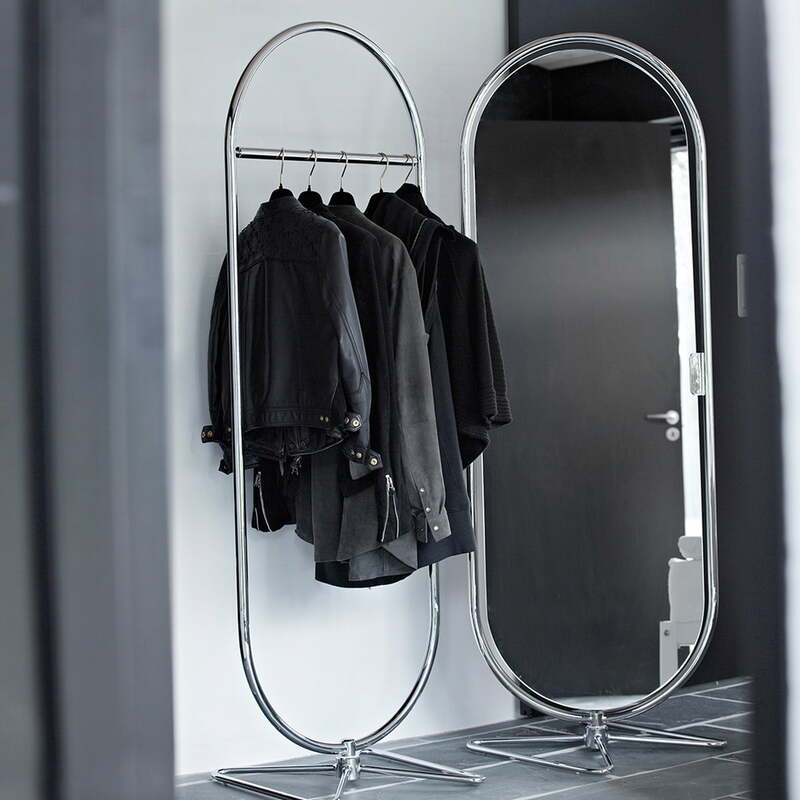 The 1-2-3 system by Verpan not only serves as a classic coat rack in the hallway, but it can also be used as a clothes valet in the bedroom. 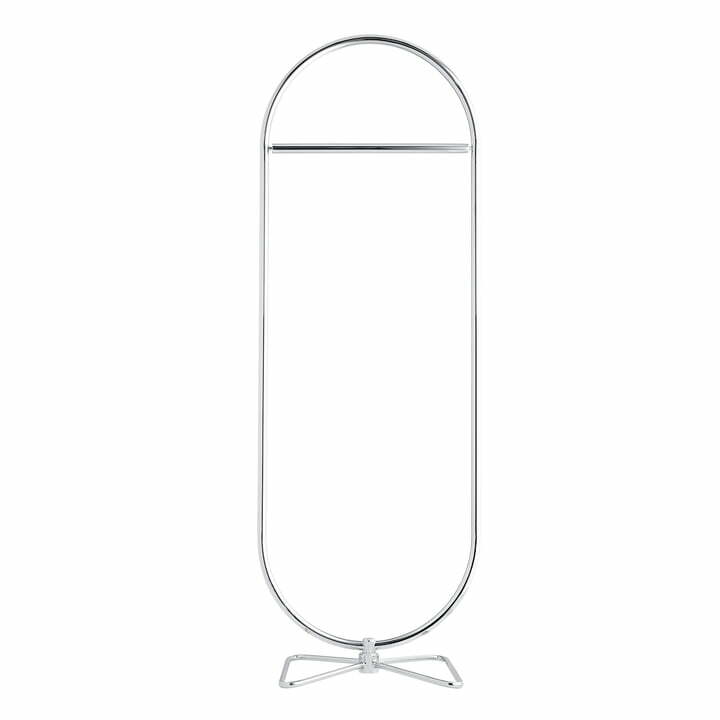 Lifestyle product image of the System 1-2-3 Mirror and Coat Rack The oval design with a curved silhouette offers a feather-light touch to any environment, additionally complemented by the elegant butterfly-shaped stand.